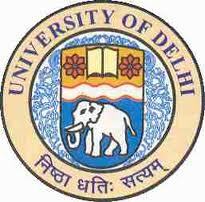 Openings for 390 Assistant Professors in Delhi University -last date 21st February, 2012. Applications are invited for the posts of Assistant Professor in various departments : Assistant Professor Number of vacancies : 390 Pay Scale : Rs. 15600-39100 Grade Pay Rs. 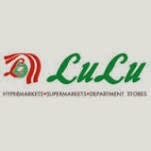 2400/- Last date of receipt of application : 21.02.2012. ‐addressed envelope. The same is also available at the University Website www.du.ac.in . 2. The Number of Posts may vary with in the categories. 3. It will be open to the University to consider names of suitable candidates who might not have applied. 4. Merely fulfilling the minimum qualification or the eligibility criteria does not entitle a candidate to be necessarily considered or called for the interview. 5. The applications received may be screened for short listing and recommending the candidates to be called for interview on the basis of the criteria to be fixed by the duly constituted screening committee. 6. University reserves the right not to fill up any of the vacancies advertised, if the circumstances so warrant. 7. Relaxation, if any, may be made in exceptional cases on the recommendations of the Selection Committee. 9. Qualifications are applicable as stipulated under the UGC regulations from time to time. the Department concerned may have specific requirements of specialization. Last date of application : 21st February, 2012.